My work with my MRSA bill , activism and advocacy has taken me all over Maine, to Chicago and to Washington DC twice with another trip coming up soon. I meet with other advocates, our senators and representatives, the Consumers union, and victims regularly to help stop this scourge. I have met many of the families in person and online. Let me introduce you to a few. Two of my new acquaintances are military veterans. One got a new hip then MRSA. Another got a new knee, then MRSA. The second one had to have his new knee removed and will soon have his leg bones fused and have an unbend-able knee. If he makes it through this surgery, he will have to learn to walk again using a shoe lift and a walker. The alternative to that was amputation and a prosthesis. He wouldn’t hear of that. He is 86 years old. I met a young mother in Washington DC in November. She got MRSA when she went into the hospital to have her baby. She suffers with it herself, but the worst of it is her baby has it. They have had continuous outbreaks since her baby was born 9 months ago. She talked with me in the hotel hallway and literally cried on my wide shoulders. Her heart is broken. She has another child and a husband that she worries sick over. Her worry is that they will get MRSA too. She is a very young woman who is now on SSI disability because of MRSA. Another friend, a mutual friend of my husbands and mine, had a colonoscopy. He had a polyp too far up to remove through the scope. His doc said it will be a piece of cake to remove that polyp through his abdomen. So, he did. He got MRSA. He had to have a long section of bowel removed and now has a colostomy. After being treated for the MRSA, he got C Diff and spent a lot of time in the VA home locally and got treated for that with IV antibiotics. A weeks worth was around $7000 he said, but “thankfully” his insurance covered it. A mentor of mine who is also a MRSA victim, injured her ankle years ago. She had surgery and got MRSA. She went into sepsis and nearly died and still they were not telling her about her infection….what it was. She has fought with the legislators in Illinois to get the first MRSA bill passed into law with mandatory Active Detection and Isolation . I didn’t personally know the latest victim I have become aware of, but the cause of her death was published in the local paper. She was a beautiful 67 year old wife of a prominent local pathologist. She at one time climbed Mount Kilimanjaro. She was the secretary at the local medical center’s chaplains desk. What a tragedy. Another is an ICU RN by profession. She contracted MRSA at work. She has had repeated bouts of MRSA related infections. Currently she lingering illness from recent flu and is seriously ill. She will go to the ER this morning and we hope she gets the treatment she needs. She had MRSA pneumonia with sepsis several years ago and she is very frightened of a recurrence. I could go on and on. The stories are incredible. These people are all intelligent, trusting and until MRSA, healthy people. Too often the argument regarding MRSA prevention isn’t about all of these suffering patients or their families. It is all about money and a lot about saving face. Savings lives and stopping unnecessary suffering rarely comes into the conversation. MRSA is brutal, no matter how old you are or in what medical condition you are in. We have to break the chain of infections by getting hospital screening right and educating everyone on the dangers of MRSA and how to stop the spread of the disease. Yesterday there was a story in the Working Waterfront newspaper about the 4 month outbreak of MRSA on the Island of Vinalhaven Maine. There were approximately 1200 people on the island in the 2000 census. 2 dozen people were infected with MRSA in this outbreak. Assuming that each of the victims is from a different family, that is 2 dozen families that may be effected. If no family members have become infected, which is unlikely, some at least have become colonized. This means, if those family members become vulnerable to infection because of flu or an admission to the hospital for an invasive procedure, they may encounter an active infection….a serious one. Caretakers and household members of infected individuals should be screened for MRSA on admission to hospitals in Maine and everywhere. This population was not included in the current MRSA screening “test” that we are currently conducting in Maine. It is only one of the many inadequacies of this screening “test”. If any of the victims or their families read this blog, please, for your own safety and that of others, ask for a MRSA screening if you are admitted to the hospital for anything. Community acquired MRSA generally presents itself as a skin infection or abscess. But, if a persons immune system is overloaded like with H1 N1 flu, MRSA can cause pneumonia. Some of the deaths you read about with H1N1 were caused by co infection with MRSA. Community acquired MRSA is spreading and growing all the time. It is getting into our hospitals undetected because of inadequate screening and then is spread in facilities. The two genetically different strains of MRSA are sometimes merging and becoming more and more difficult to treat. We need to stop MRSA at hospital doors. We need to screen patients for the purpose of “search and destroy”. When it is detected at hospital doors, we can treat the effected patients and separate them from uneffected patients. It’s a win win for patients. My guess is that the victims of MRSA on Vinalhaven are still fighting their infections. It would not suprise me one bit if their families have been effected by these infections. Education and knowledge fights MRSA. The Maine CDC did investigate and control this outbreak and that is wonderful. But the implications of this outbreak are important. Our hospitals must do life saving MRSA screening of all appropriate high risk populations on admission and during hospital stays. 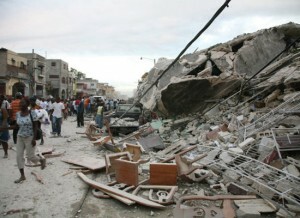 We are all watching on TV as Haiti citizens suffer. Their family members are lost, missing or injured. Their homes are ruined. They have no water and they are running out of medical supplies and food. Medical care for major trauma is being redered in outdoor makeshift “hospitals”. Their infrastructure is destroyed. Thousands of volunteers with supplies are arriving all the time, but the airport is small and there is no control tower. Then once they are on the ground, there is no fuel or transportation to get needed supplies to where it needs to be. It is hard for me as a lifelong caregiver to sit by and watch this. I see small children and babies with open wounds and broken bones and I think about my skills and how I could help if I was there. I can’t go and most of us can’t, but I began to think about how I can help from home. The NNOC or National Nurses Organizing Committee is asking for nurses to volunteer through RNRN, the RN Recovery Network. Also, they are asking for donations. They are organizing a command center in Miami to send nurses from all over the country to go to Haiti and help. The NNOC represents the Maine State Nurses Association. MSNA supported my work with MRSA with backup support from the NNOC. I hope that in some way, this entry on my webpage will help the NNOC with their quest for volunteers and funds to help the poor unfortunate citizens of Haiti. January 9 was the anniversary of my father, John McCleary’s death. A lot of water has passed under the bridge since then. Nothing that has happened or been accomplished with MRSA prevention will bring him back, but my part of the work was all done in Dad’s honor. Other big strides in MRSA prevention have been made in Maine hospitals. I hope the quality of their programs is consistant because before last year, I know it was not. And, my original legislative proposal to standardize MRSA prevention policy all over the State (to reflect the steps of Active Detection and Isolation) was characterized as “cumbersome and prescriptive”. Actually it was 4 basic steps and they work really well when done altogether. So, that standard and mandate in all hospitals would have sealed the success of prevention for all Maine Hospitals. Maine Hospitals still have discretion in the use of the weak CDC recommendations when they write their policies. They basically can pick and choose and they might not always choose the best parts of the CDC recommendations. It’s pretty hard anyway considering they are ineffective (in their current order) and a couple hundred pages long. But, to keep this entry positive and upbeat…..Maine hospitals have progressed in their infection control approaches and policies. The reason I am so happy about Dad’s hospital is that my mother still lives in that community and depends on that facility for her care. The nurses and doctors there are awesome, but last year, their MRSA detection and prevention policy was horrid and inconsistant. I am now more confident in their approach to MRSA prevention. 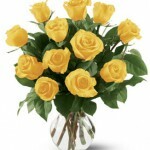 I brought my mother beautiful yellow roses (a favorite of both hers and Dad’s) the day of the anniversary of Dad’s death. But, more importantly, I hopefully brought her a safer hospital. The Maine State Nurses Association had a board meeting yesterday and invited media to attend. We had a brief press conference and there was a good attendance. Two of our local TV stations covered, Maine public broadcasting network and the Bangor Daily also covered this press conference. Here are the links to the video, audio and newspaper coverage. My comment about the Bangor Daily news coverage is that the meeting was of MSNA and not that of just one local hospital. The hospital that was quoted gave a negative comment about the future of MRSA screening and that it is “ineffective”. I know for a fact that the EMMC has never used active detection and in some cases do not use isolation for MRSA. So, if this is their approach and attitude, they will indeed fail. This screening and the other recommendations for policy change are touted as ineffective only 3 days into it, then their intention is to fail. I do not understand fear of success, especially when it comes to patients safety and lives. I appreciate that all of these interested and talented reporters came to the press conference and realize the significance and importance of protecting Maine patients from Hospital acquired MRSA. January 4, 2010 marked the first day of screening high risk patients for MRSA in Maine Hospitals. This is a huge step in the right direction. Many Maine Hospitals ramped up their infection control policies long before January 4. This screening is much wider than most of our hospitals have been screening. My hopes and my supporters hopes are that this program will be successful and with all of the other necessary steps for prevention, hospital acquired MRSA will pretty much disappear in Maine. We do have concerns about this screening. It does not address endemic MRSA, which is MRSA that is already present within a hospital. Admission screening only tells us what the patients MRSA status is on admission. It does not tell us if they contract the disease while hospitalized. That is very important if we are to address the spread of the disease. Also, several high risk populations have been left out of the list of high risk patients to be screened during this test. Representative Adam Goode and I have addressed these issues in our new legislative resolution. Another major concern is that at the end of this “test” (6 months) our hospitals will be right back to what they were doing prior to this “test”. 6 months is absolutely not long enough to screen and expect significant results. In this way, this “test” may be self limiting. All of our country’s VA hospitals screen everybody on admission, again a week later of if they are transferred to ICU, periodically (weekly) and again on discharge. It has helped the VA hospitals drop MRSA rates by over 70%. It has been so successful at the VA that they are now merging their MRSA program into their long term care facilities. The VA success is amazing. My question is why aren’t all US hospitals doing exactly the same thing. If you asked your local hospital they would say…”oh, it costs too much”. I have never read an article about a successful MRSA program where hospitals did not benefit financially from the drop in MRSA rates. The programs are worth every penny of start up costs. The savings in human suffering and death are staggering. My hope is that Maine Hospitals are taking the epidemic of MRSA seriously. I believe they are. Change is difficult for all of us. But, if this screening, and the new infection control programs our hospitals have are taken seriously, our hospitals can become the safest in the country. Have you ever been told you have a “staph infection”? I talk to people daily about their experiences with hospital infections. I spoke with a person at work who’s father had a “staph infection” for which he was treated for a very long time. Then today I spoke with a cousin who’s father-in-law is dealing with a long term persistant “staph infection” that he got in a newly implanted knee. He has had repeated surgeries and bouts of infection with long term antibiotics. I have had a “staph infection” in the past. I had it in numerous bug bites when I was a kid. I scratched and picked at them and I got Staph. I had to take a simple antibiotic and wash them frequently and they cleared up. Lots of people get staph, simple staph, that generally clears up with use of commonplace antibiotics. But, when I hear these stories about repeated surgeries, removal of new joints, IV antibiotics, long term disability, rehab and nursing home stays, huge swelling at the site of infection, and persistance of infection, this is typically MRSA “Staph Infection”. Why don’t doctors just SPIT IT OUT! They do not want to tell their patients they have MRSA. They dont want to disclose it because they are afraid. Instead of outright honesty and accountability, they practice a certain evasiveness. They just don’t want to talk about it. It is a failure. Patients catch it while involved in the Healthcare system. 85% of all MRSA is Healtcare Associated. So, if doctors won’t talk about it, how can we figure they will ever deal with it? They just plain have to. We can’t let them slide by with this slippery, secretive, evasive behavior. They are responsible to US, not the other way around. We hire doctors, hospitals and healthcare providers to do a job for US! They need to disclose infections and the cause of them to us. Then they need to educate us (patients) on how to stop the spread of it. Otherwise this horror will get passed down the line to others…family members, friends, roommates in hospitals, caregivers etc. My cousin asked how he and his wife could find out what caused the infection. I told him to insist on it. If the doctor refuses to talk about it then they need to get a copy of his records and the culture results will be in there. If not, he is truly hiding something. Most importantly, doctors, hospitals and other HC workers need to prevent it in the first place. It can be done and it must be done. Sometimes I think that people just do not realize that healthcare providers including doctors are not diety. They are imperfect human beings just like the rest of us………and they do make mistakes. But, if they keep on making the same mistakes year after year and don’t acknowlege it, or deal with it and continue to be evasive with their patients……..I believe that is criminal. They are employed to do a job…a very important job…for us every time we step foot in their offices, or a hospital to seek care. “First do no harm” is their oath. We healthcare consumers need to hold them to it.